There are millions of hashtags out there – for different days of the weeks, different businesses, different parts of the business. Pick a hashtag that links and works with your business and use it regularly – once a week, every couple of weeks, once a month. We all love a good story, especially one that inspires us and also gives us a little peek into your business. 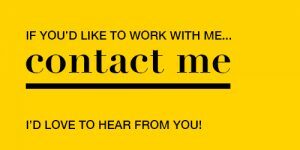 Tell us about a recent job, a project or a new product. And we especially love a little peek behind the scenes (we’re all a little nosey about how other people run their business or how things are made). Tell us about the tools of your trade, specific workwear, your office, business organisation, step by step process. What are your customers always asking you? If customers are asking you these things then chances are that your social media followers might be wondering the same thing. It might even turn a follower into a customer. It’s absolutely fine to blow your own trumpet every now and again. You work hard at your business and if a customers thinks you did a wonderful job and tells you so, then tell every one else. Especially if it’s for something specific rather than you are just wonderful – did you help with an ailment, create the perfect wedding bouquet, help a customer lose weight, sell the perfect birthday gift? Anything that helps people is a great post – create beautiful nails, caring for your bouquet of flowers, list of healthy foods, ways to relax. You don’t have to give away the secrets of your trade but a few useful pointers makes you look helpful and knowledgable. People love to know about the real person behind the scenes. Big companies spend millions trying to look like a small, personal business but it’s so much easier for you. And I don’t mean give away personal details of your life, just tiny little snippets – your favourite cuppa in the morning, how you relax, what you’re reading, a new stationery purchase, your fluffy 4 legged friend. Just a little something to show who you are as a person rather than just the business. 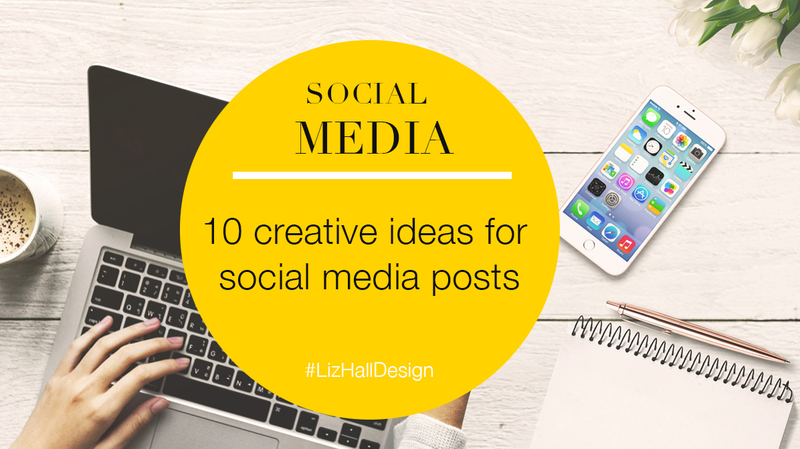 Every one loves a freebie so create something useful, beautiful or inspiring and post as a free download. If you get totally stuck, share another post that your customers will find useful or interesting. Quotes and memes are always popular and these are the types of post that always seem to go viral. So remember to add your logo, website or username so it can be traced back to you. Not every one will share the post, some will save the image and post on their own page so you won’t get the credit. This will give you a good month of ideas to plan and schedule and finally get on top of your social media. I’d love to hear how you get on so let me know in the comments.